Avid’s Sibelius 7 is new enough for there still to be a dearth of supporting materials. 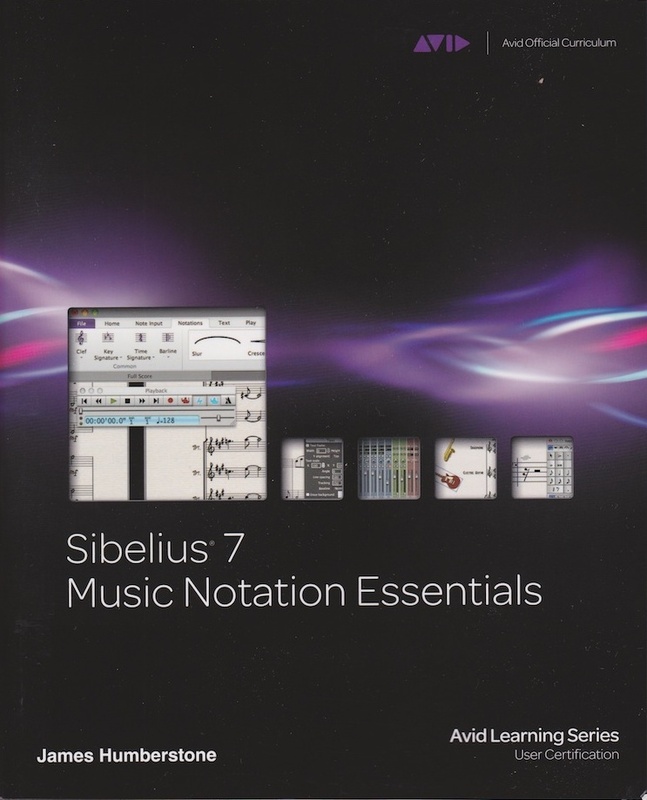 But James Humberstone’s substantial new book in the Avid Learning Series, Sibelius 7 Music Notation Essentials, sets very high standards and is a welcome resource. The well-illustrated (indeed extremely helpfully-illustrated) book contains 450 substantive pages, which take those either unfamiliar with Sibelius 7 or those used to the Sibelius family but who have just upgraded through the basics to most of the essential skills necessary for even quite accomplished composition. And from first to last you know you’re in the hands of a sympathetic and experienced expert. Sibelius 7 has a radically different in user interface from that of earlier versions – particularly version 6. This is chiefly thanks to the presence of the (infamous) Ribbon into which the vast majority of functionality has now been gathered and regrouped from previous versions’ multitude of menus. Indeed, Humberstone (a distinguished Sibelius expert) rightly spends a couple of dozen pages exploring the Ribbon as the new nerve center of the software. Other topics include the likely steps you’ll take to begin simple and developing composition; entering music using MIDI and MusicXML etc. 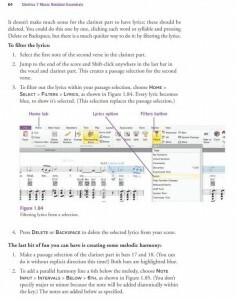 ; setting up a score, and basic editing; lyrics; creating a worksheet; and scoring video etc. There is a logic to this: the Avid Sibelius Reference Manual, a PDF version of which comes with the software (and which is also available as hard copy) is an ungraded – though extremely comprehensive – compendium of just that… points of reference, item by item, an area-of-use by area-of-use guide to what Sibelius (7) can do. And, although there is a tutorial component there, the sense of being taught, of augmentative lessons, of a wise tutor (Humberstone) who has expectations and a real vested interest in the learner’s progress is much greater in Sibelius 7 Music Notation Essentials. Indeed, the style of the book under consideration here is more immediate, more personal… “This behavior might seem a little confusing, but in fact, it’s ingenious” [p.165], for example. Humberstone knows the software backwards and is out to get us learners to achieve the same degree of expertise. Not to sell the product. His examples are varied… chamber, jazz, orchestral, bands and so on. This takes place over five discrete lessons, the completion of each one of which can reasonably be expected to occupy you fully for a couple of hours and more. The approach is a step-by-step one which makes good use of visually compelling supporting screenshots, diagrams, tables and of course a multiplicity of score extracts. Although these achieve the desired result if you are prepared to engage with the book properly, in places the annotated screenshots are a touch small for the clearest of reading: Sibelius‘ is a big screen; to reduce what you’ll usually work with a screen at least 18-20″ to paperback book size has meant some compromises. You have to go by position in the book’s illustrative grab of the screen for example on page 173 to see how to export to a PDF, not by being able to read the text: it’s tiny! On the other hand, the clarity of the step-by-step instructions, the explanations of why we are doing what we are doing, of the many ways to achieve something within the software, the clearly laid out keyboard shortcuts and functions at the end of each chapter and the boxes and sidebars etc separating such topics as Transposing, Troubleshooting Sibelius Sounds, how to take advantage of a large monitor – and parallels in other music software like Pro Tools all make up for any such small inadequacies. The index is excellent, the pace of the lessons just right; similarly cross-referencing and proofing are good. And the ways in which the clarity of page layout aids your experience of the book and of Sibelius 7 is exemplary. Each chapter ends with a short series of Review/Discussion questions and Exercises. These are not weak. Not labored, or too long… after all, we learn little from being confronted with factual “tests” to which we either do or do not know the answers. Humberstone invariably gives us “Ideas to get started” rather than any expectation of spurious “grades”. It’s made clear at the start that you’re expected to work with the 31 tutorial videos on the companion website. They’re not afterthoughts or mere added value. They really are integral to the extent of the progress you’ll make as you work through each project. The quality is good. The approach appropriate. The explanations very detailed: Sibelius is complex and this attention to specifics is all to the good. The book’s material is also contained on a CD that comes with it. Even if this weren’t the only printed lesson-based product for Sibelius 7, it would be a winner thanks to the sound, approachable and thorough tone and substance of the book. It can be safely recommended for all but those utterly familiar with every aspect of Sibelius 7. Pros: Comprehensive. Authoritative. Excellent, approachable style. Consistent and well thought-out and executed project/tutorial approach. 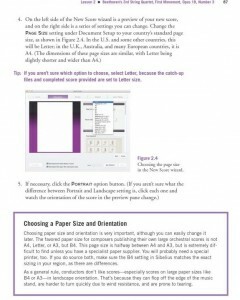 Appropriate style of introducing, extending and summarizing the topics. Good supporting material that makes the package excellent value for the money.